And of course...I've created some cards. ;) I have spring themed love card to share with you today, using some older (but still FAB!) Pink Paislee papers/tag, and freshened it up with some Studio Calico "Sundrifter" & other newer embellishments. Here is what I created! 1. 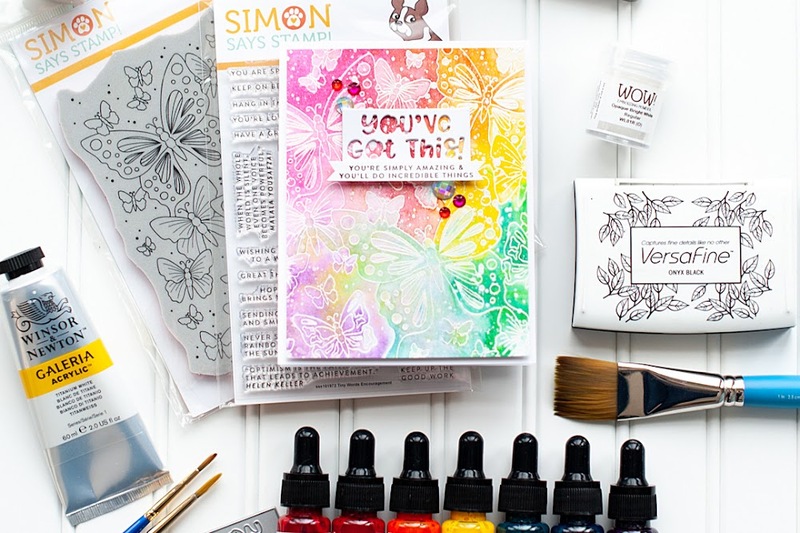 Make a 5-inch card from white cardstock. 2. Cut pink paper slightly smaller, and adhere to the front. 3. Cut a thin strip of map paper, and adhere to the left side. 4. 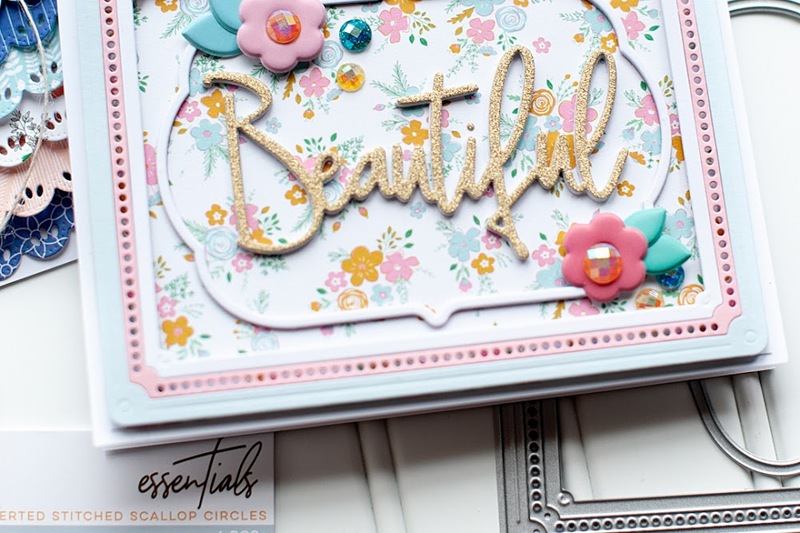 Layer a doily, journal card & tag to the card front, then add a glitter photo corner & jewel to the tag. 5. Add a dimensional scalloped border across the top, then accent with a sentiment diecut & wooden quotes. 6. Add the sticker tab, pearls, dated snippet, and accent with a diecut heart from map paper. 7. Add a feather tag to the top of the card, then accent with a ribbon bow. 8. Accent the front with paper flowers & feather diecuts to finish. Well, that is all I have for you today! I hope that you have a wonderful rest of your day, and I will be back soon with another card to share! Wow girl! 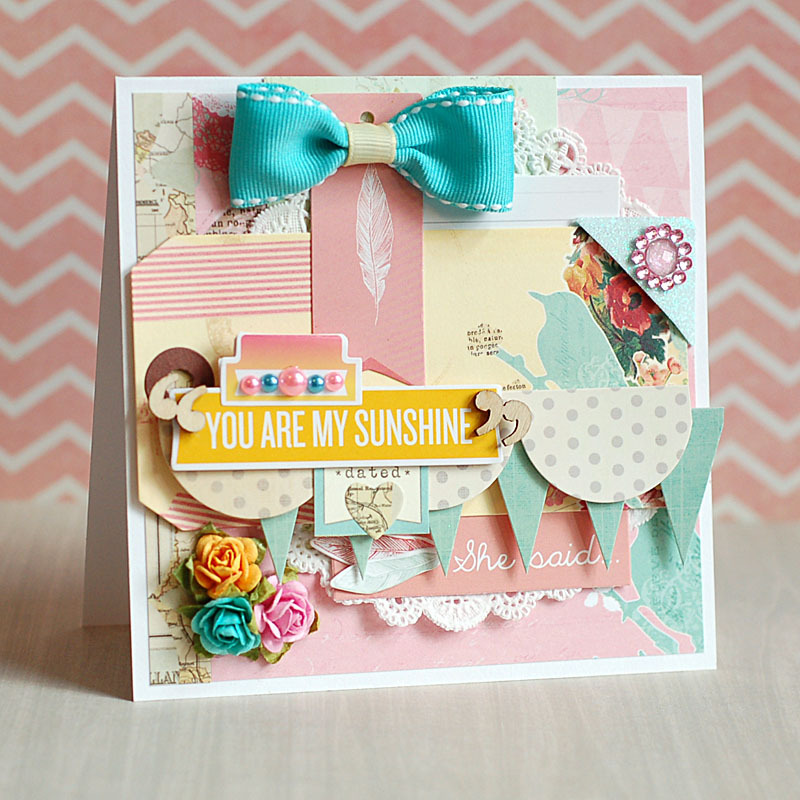 You do wonders placing various embellishments together in a perfct layout! 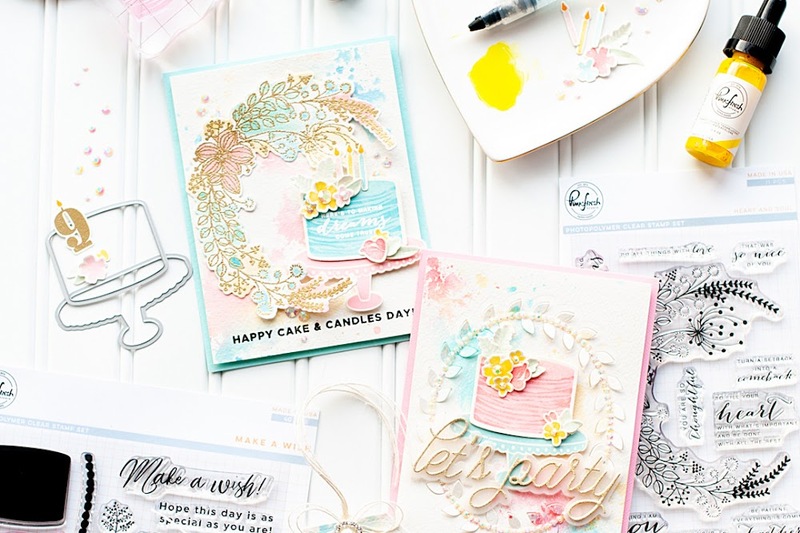 Wow, that card is gorgeous- just like all your other creations! I have never made a card, but i will have to give it a try. Your creativity is amazing and so inspiring! Gorgeous card!! Love all of the embellies you used to make this beauty!! Your ability to layer things is out of this world! I would love to take a class from you, I have the hardest time layering anything hehehe! Fabulous work again! Thanks for joining us at V's Sweet Ideas!